Presented by Green Ronin Publishing, Krab Jab Studio hosts the one-of-a-kind group art show entitled “The Art of Roleplaying Games” which features original art used in roleplaying games (RPGs such as Dungeons & Dragons, Ars Magica, Dragon Age, and Middle Earth), spanning over 30 years. Nearly 100 pieces of illustration will grace the walls of this working studio/gallery, located in the heart of the Georgetown neighborhood. Artists Represented: Julie Baroh, Mark Tedin, Anthony Waters, Brian Snoddy, Heather Hudson, Randy Gallegos, Jeff A. Menges, Lee Moyer, Rob Alexander, Samuel Araya, Michael L. Phillipi, RK Post, Mark Smylie, Sara Otterstätter, Liz Danforth, Todd Lockwood, Raven Mimura, Jeremy Corff, Melissa A. Benson, Drew Tucker, Jeremy Jarvis, Aaron McConnell, plus private art collections including work by Brom, Jeff Easley, and more. Show Opening/Reception, August 11th, 6 – 9 pm: Show reception open to the public. Refreshments provided. 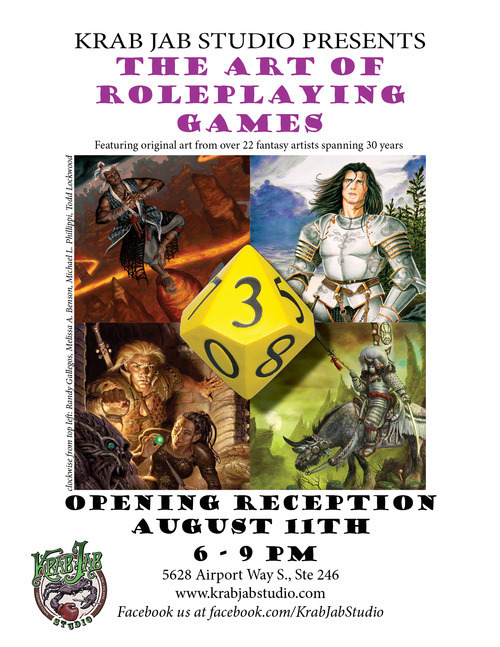 Meet the Artist Mixer, August 30th, 8 pm – midnight: Local RPG artists will be on hand as we celebrate roleplaying game art and its impression in the game industry. Open to the public with refreshments provided. About Krab Jab Studio: Located in the historic neighborhood of Georgetown, Krab Jab Studio is the working studio of artists Julie Baroh, Mark Tedin, Milo Duke, and writer Chris Pramas. 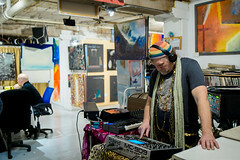 With a monthly rotating guest artist gallery, Krab Jab Studio is open to the public every Second Saturday during the Georgetown Art Attack art walk, and is open each week Tuesday – Thursday from 2 – 5pm. 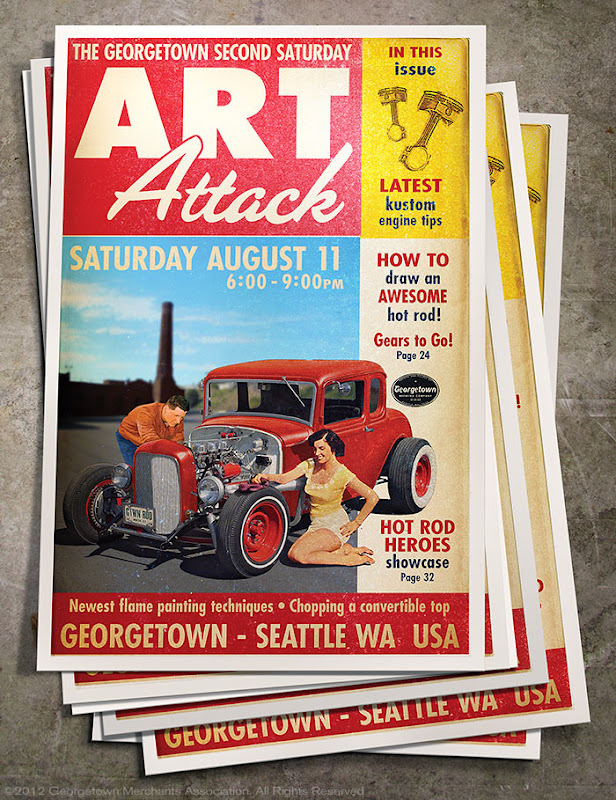 Here’s a sneak peak of the August Art Attack card. The hot rod theme is a subtle nod to the other big Georgetown event in August, the “Hot August Nights” extravaganza on August 17th and 18th. 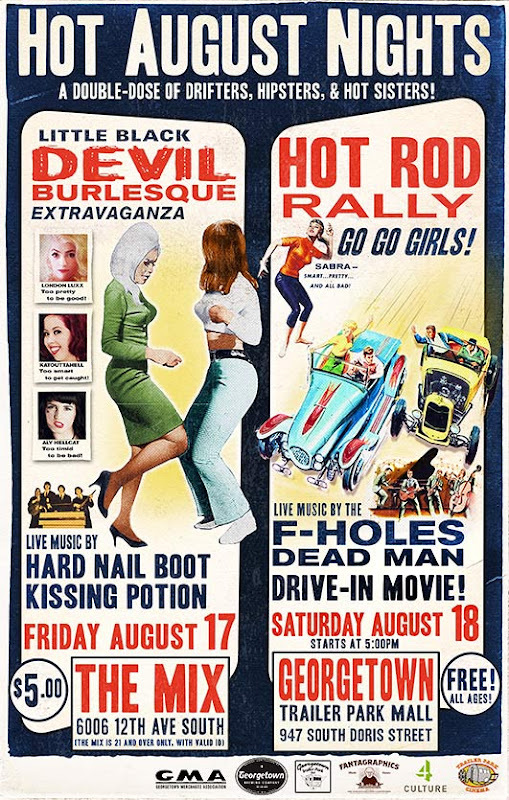 Hard Nail Boot, Kissing Potion, and a bevy of burlesque dancers perform at The Mix on Friday. The Trailer Park show on Saturday features Performances by the F-Holes and Dead Man, along with go go girls, hot rods, concessions, and a drive-in movie! “Connected”. New work by Wynne Pei and Laura Wright at the Firm. Exhibition runs July 14 to September 1. 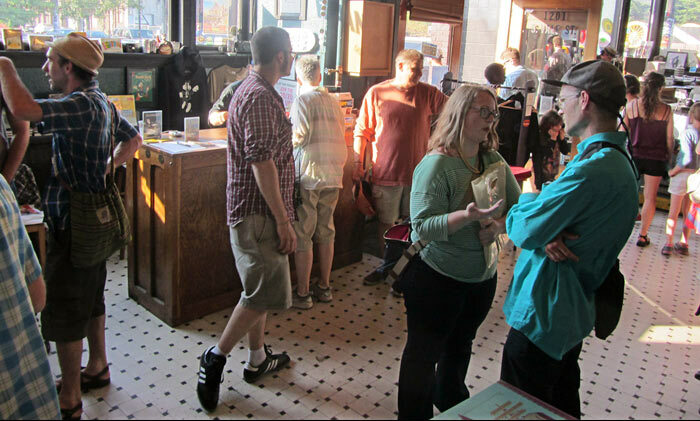 “The Massive World Of Mini Comics” at the Fantagraphics Bookstore & Gallery. A showcase of art created by young students who attended a 826 workshop taught by Seattle cartoonists Max Clotfelter, Ben Horak and Tim Miller, brought together by Fantagraphics and Alex Bleecker. A brand new view of the brewery from the north side of the new Georgetown Arts & Cultural Center location. The Art Center has moved to its new home, the historic 1904 Fred Marino/Star Brass building. At 5809 Airport Way S, above The Firm gallery. Georgetown’s Art Attack: Hat n Boots-stompin’ Garden Party! 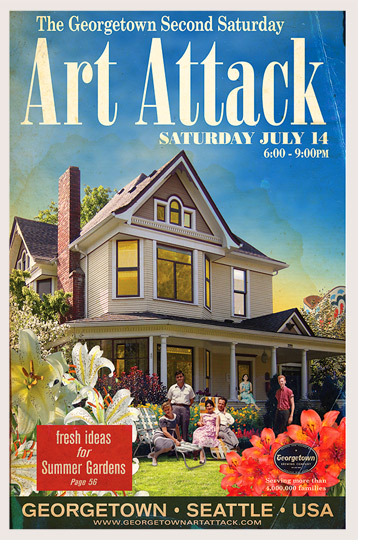 Summer eluded Seattle for June, but before you pack your bags and head to warmer climates, the Georgetown neighborhood has been cooking up a fabulous Garden Walk on July 8th, followed by our infamous monthly Art Attack Art Walk on July 14th! Your eyes will be dazzled by the display of local color and your palates moved by our famous food fare – Georgetown knows how to warm things up just the way you like! All City Coffee is proud to present “Objectified”, a collection of photographic studies by realist painter Michael Lorifice and photographers Liz Thomson Ophoven and Amanda Michele Dellinger. American Pie features Robert Lane’s abstract paintings. Calamity Jane’s features illustrations and prints by Jameson Hubbard and Mirka Hokkanen. Fantagraphics Bookstore & Gallery presents “The Massive World Of Mini Comics”. A showcase of art created by young students who attended a 826 workshop taught by Seattle cartoonists Max Clotfelter, Ben Horak and Tim Miller, brought together by Fantagraphics and Alex Bleecker. Fonda La Catrina features Javier S. Ortega’s wonderful surreal portraits of outlaws, lovers and freaks. The Firm presents “Connected”, new work by Wynne Pei and Laura Wright. Georgetown Arts & Cultural Center The Art Center has moved to its new location, 5809 Airport Way S above The Firm gallery. We will be giving tours from 6-9 pm and a few of the new artists will be present to have their new studios open to the public. Georgetown Atelier hosts Draw Attack!, a free, fun art jam with a costumed Cabaret Dancer. Come draw with us! Georgetown Liquor Company presents ”Whiskey and Watercolor”, illustrations by Levi Hastings. 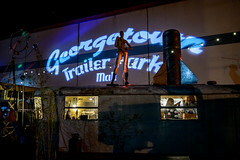 Georgetown Trailer Park Mall Garden Party at the Georgetown Trailer Park Mall! 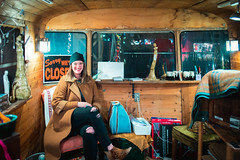 Seattle’s only Trailer Park Market, featuring local art, vintage finds and live music! Hallava Falafel will be featuring ceramic artist Eric Newman. Krab Jab Studio is hosting a Fire Sale! Resident artists Milo Duke, Julie Baroh and Mark Tedin on display, also featuring paintings of Kyle Abernethy. Le’ Objects for the Home hosts guest artist Angelina Tolentino, featuring her series of vintage 20th century burlesque female performers, whose environment is the underwater world. Mary Tudor Studio hosts tranquil, spacial and atmospheric oil and acrylic paintings in bright colorations. 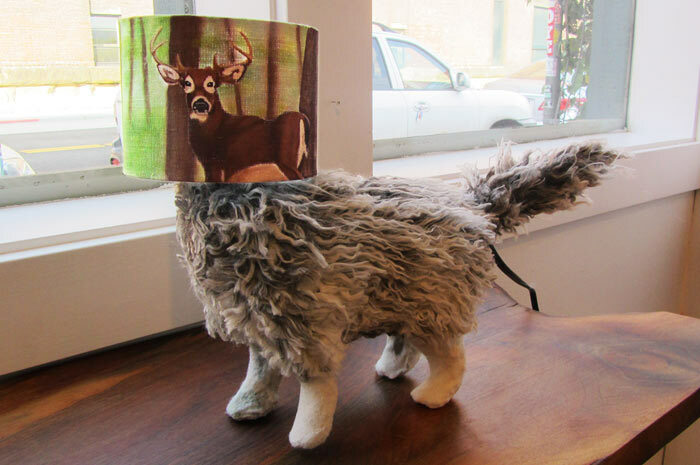 Miller School of Art is having a student art show. 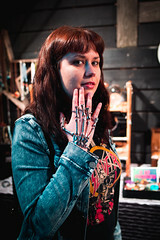 NUPASA features guest artist Holli Pappan. The Nautilus Studio is hosting “A Grave Place”- sculptural work made out of remnant and relicts by Isabella Leary. Vecta Photo Keven Furiya will be showing a new series of watercolor cityscapes. 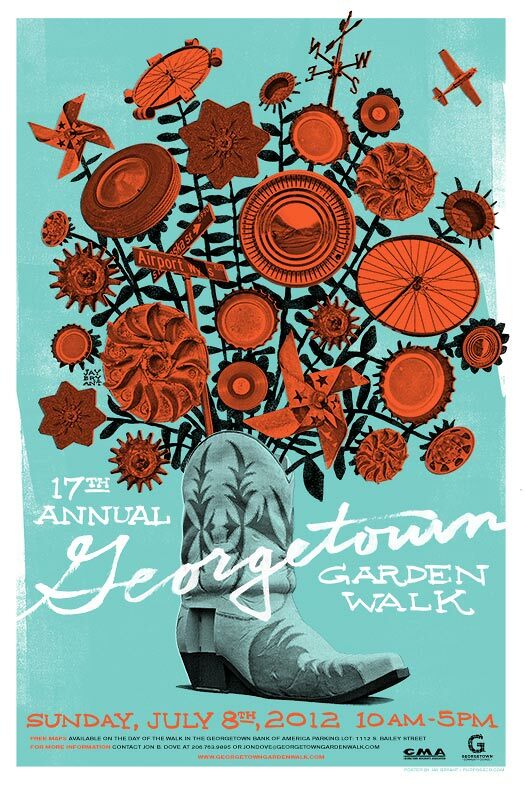 Don’t miss the Georgetown Garden Walk! The 17th annual Georgetown Garden Walk takes place on Sunday, July 8 from 10:00 AM to 5:00 PM. This casual self-guided tour allows visitors to explore historic homes and gardens in one of Seattle’s most colorful neighborhoods. Maps can be obtained on Sunday at the Bank of America parking lot at1112 S. Bailey St. Additional information can be found at www.georgetowngardenwalk.com. This year the Garden Walk features “Cross Pollinate,” featuring the work of dozens of Georgetown artists in locations throughout the tour. Organized by James Caudle and Georgetown arts activist Amanda Michele Dellinger, Cross pollinate includes plein air painters Tamera Belland, Jim Pirie, Amy Pleasant, Kathryn Carlotta Taylor, Chris Sheridan, Carlotta Taylor, Gina Tolentino, Karen Kosoglad, Spider, Ruthie V, Mark LaFalce, Sketch Pistols, and Urban Sketchers; costumed figure drawing hosts Sunday Club, and Jamie Bollenbach; roaming dancer Colleen McNeary; sculptors Scott McGee, Tim Fowler, Lance Carleton, Richard Lemmert (Odar), Equinox, Nakisha Vanderhoeven, Sarah Levett, Nakisha Vanderhoeven, Brandusa Bularca, La Delle Sines & Zac, Joshua DeGarmo, and Tonia Arehart; art demos by James Basset (garden art), Gemma Glasser (quilting circle), and Pete Church (boat building); and musicians Forrest Eubanks, The Ten Man Brass Band, The Sweet Spots, Only Trio, Slaughterhaus Rose, Jerk Church. 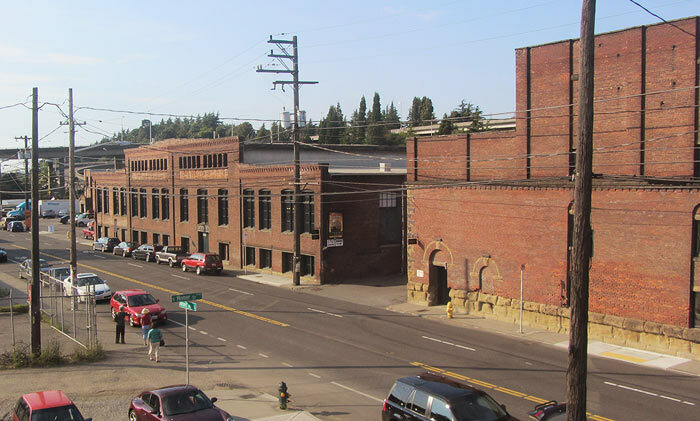 Funding for Cross Pollinate is provided by the Georgetown Merchants Association and City of Seattle Department of Neighborhoods. This event is free and open to the public of all ages.